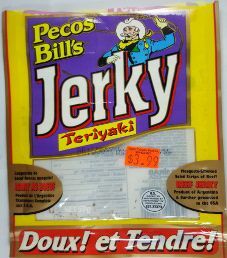 The Pecos Bill’s jerky brand name is manufactured by likely the largest jerky private labeler in the world, Mirab USA now known as Marfood USA. They were founded in 1997, and Mirab USA is located in Taylor, Michigan. 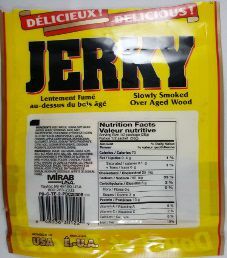 With this bag being sold in Canada, Upper Canada Meat Co. Ltd. is the distributor of this jerky, based out of Oshawa, Ontario, Canada. This Pecos Bill’s brand is especially popular in Western Canada, and popular in areas of the United States and Canada. The origin of this beef is imported from Argentina. Jerky makers by law since around 2011 are no longer required to provide the origin of country for the beef. This beef used is not guaranteed to be free of growth hormones or additional antibiotics. Also, the beef is not guaranteed to have at least partial free range access to graze on grass. As a result, the highest ingredient rating that can be awarded is a Good (8/10) rating. The liquid marinade consists of a decent soy sauce, very healthy apple cider vinegar, and water. 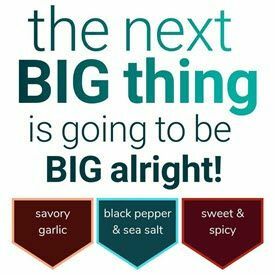 Some healthy ingredients are added such as garlic powder, onion powder, and spices. The sugar level is decent at 3 grams of sugar per 28 grams of jerky. The salt level is absurdly high at 780mg of salt per 28 grams of jerky to lose two ratings. Our preference is 350mg of salt or less per 28 grams of jerky. This jerky does not qualify to be sodium nitrite free. The negative trifecta is achieved here, losing two ratings with sodium tripolyphosphate, sodium erythorbate, and sodium nitrite used as preservatives. Citric acid and apple cider vinegar to a lesser extent acts as preservatives. Unhealthy monosodium glutamate (MSG) is used outright to lose a rating. Another rating is lost using the unhealthy flavor enhancer disodium inosinate, which works in conjunction with MSG to enhance the flavor that much more. Furthermore, another rating is lost with the cheap, highly processed flavor enhancer hydrolyzed corn gluten protein being used. Back in 2008, I kept very vague taste notes. From what I remember, and what my taste notes indicate that this was an average tasting jerky at best. As advertised, the jerky texture did qualify to be soft & tender. As with all Pecos Bill’s flavors around that time, the beef had a sort of unappealing processed taste and feel. This 2 ounce/57 gram bag of jerky cost $3.99. That equates to $2.00 an ounce, which rates as an average price. This bag has some things imprinted directly on the bag itself, which could be shared between multiple brands of jerky. There is a label affixed to both the front and back. Being sold in Canada, there are some French translations provided, which is required by Canadian law. The Pecos Bill’s logo is a cowboy with a lasso. The jerky brand name Pecos Bill’s on the back of this bag is not even mentioned once, where this is likely a stock jerky recipe and bag. Pecos Bill’s along with many other Marfood USA jerky brands shares the registered trademark slogan “Soft & Tender”. Some facts printed on this bag are “Mesquite-Smoked Solid Strips of Beef”, “Product of Argentina & further processed in the USA”, “Delicious”, “Packaged in the USA”, and “Slowly Smoked Over Aged Wood”. The only bag category missing is a blurb printed about the Pecos Bill’s jerky brand. To the credit of Marfood USA, they provide a toll free phone number for customer inquiries. Pecos Bill’s curiously does not have a web site.